Founded in 2009, Green Charge Networks (Green Charge) is a leader in intelligent customer-sited energy storage. The company gives commercial and industrial businesses, municipalities, and schools control of rising demand rates on their monthly electric bills. Green Charge’s products and services help businesses save money, save power, and save the environment. Our products and services complement solar PV, electric vehicle charging, and energy efficiency. The GreenStationTM was developed in partnership with leading utilities and Fortune 500 customers from coast to coast. Green Charge believes that the next wave of innovation is about the efficient delivery of energy rather than energy generation itself. Just like Energy Efficiency before it, Power Efficiency will deliver the next level of savings for energy users. Green Charge aims to lead this revolution. This new era is about using software to improve the efficiency of trillions of dollars of grid assets already installed, at a fraction of the cost of adding more hardware. Our mission is to empower businesses to better control their power use and reduce costs with energy storage. We deliver the next frontier in energy savings, providing affordable and scalable energy storage for businesses, schools, and cities. Green Charge’s intelligent energy storage system, the GreenStationTM, is installed on the customer’s side of the utility meter and automatically reduces their demand peaks by up to 50%. The GreenStation is thoroughly field-tested and is the first demand reduction product that is powered by an intelligent data analytics controller to come to market. Businesses buy the GreenStation by signing up for the no cost, performance-guaranteed, and shared-savings financing model called, the Power Efficiency AgreementSM (PEASM). 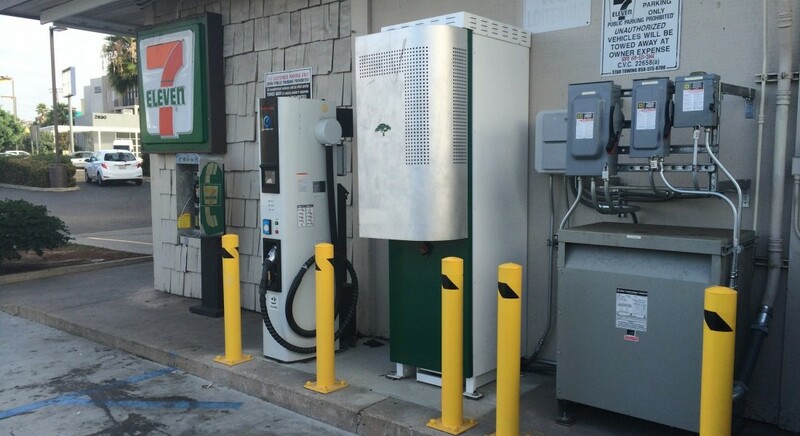 Green Charge’s loyal customers include 7-Eleven, UPS, Walgreens, California State Fullerton, Redwood City, Kaiser Permanente, Shore Hotel, Butte College, and County of Santa Barbara.